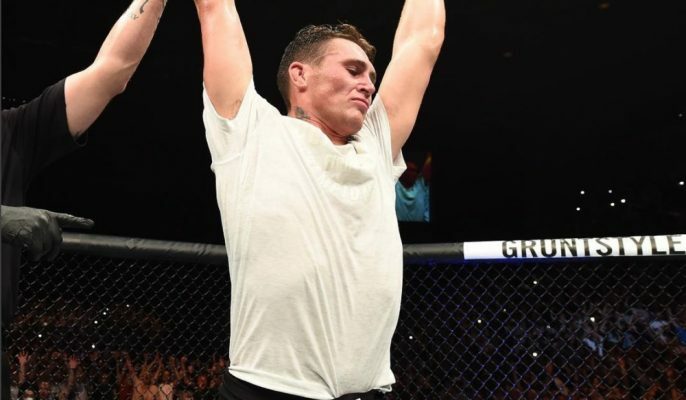 Darren Till says he still believes he's a superior fighter to Tyron Woodley despite suffering a second round submission loss to him at UFC 228. Darren Till will concede that Tyron Woodley got the better of him at UFC 228 but he’s not willing to say that the reigning UFC welterweight champion is a superior fighter. Till suffered the first loss of his career in early September when facing off with Woodley in the main event from Dallas. Woodley put Till down with a thunderous right hand before finishing a fight a few moments later with a D’arce choke to defend his title for the fourth time while handing the British welterweight a decisive loss. Despite the outcome, Till stands by his belief that he’s still a better fighter than Woodley but he just wasn’t better on the night they met at UFC 228. “I’m never going to use excuses. I haven’t watched the fight and I don’t need to,” Till said when speaking to his sponsors at Paddy Power. “It’s just two rounds of Tyron pushing the pace and he caught me — that’s it. I came in too relaxed with the shot and it was a lovely counter. Till says everything in his training camp went perfectly in preparation for the fight with Woodley, although he says he did still endure a tough weight cut to get down to 170 pounds. That said, Till promises to come back better than ever before and refuses to let this one loss define his career going forward. “My confidence hasn’t changed or taken a knock and I’ll tell you why — when some guys are on top think they will never get beat, and then when they do they then lose their confidence because it was never something they thought would happen to them,” Till said. Till has not yet stated when he hopes to fight again or if he’ll stick around the welterweight division for more fights after his loss to Woodley. Till had previously teased a potential move to middleweight in the future but there’s no telling what plans he’ll make now following this loss.